The former president and his sister along with other suspects appeared before the court as the interim bail granted to them ended Wednesday, Geo TV reported. The Federal Investigation Agency's (FIA) investigation officer did not appear before the court as he is currently in Islamabad. A banking court in Pakistan on Wednesday extended till February 14 the interim bail of former president Asif Ali Zardari, his sister Faryal Talpur and nine other suspects in a money laundering case. The former president and his sister along with other suspects appeared before the court as the interim bail granted to them ended Wednesday, Geo TV reported. The Federal Investigation Agency’s (FIA) investigation officer did not appear before the court as he is currently in Islamabad. 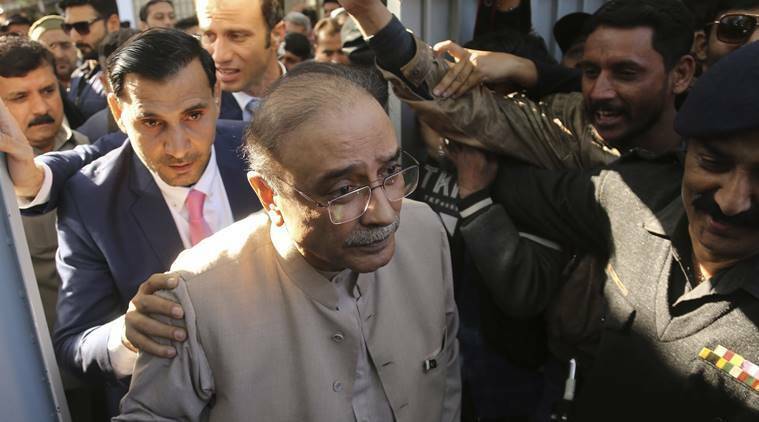 The court then extended the interim bail of Zardari, Talpur, Anwar Majeed and nine other suspects till February 14 and adjourned the hearing of the money-laundering case till that date. However, the court will hear the bail plea of Majeed and his son on February 6. Zardari, the husband of assassinated former prime minister Benazir Bhutto, served as the 11th President of Pakistan from 2008 to 2013. The FIA is investigating 32 people in relation to money laundering from fictitious accounts, including Zardari and Talpur. Zardari’s close aide Hussain Lawai was arrested in July in connection with the probe. Omni Group chairman Majeed and his son, Abdul Ghani, were arrested by FIA in August.